Astoria, get ready for Uncle Jack’s Meat House, offering a “hip, cool, grill environment” upstairs and a VIP “speakeasy” downstairs. And lots of meat. As we heard last Fall, there’s a new steakhouse coming to town by the name of Uncle Jack’s Meat House (it was originally reported as “Company” but “House” it is now), related to the Uncle Jack’s Steakhouse chain, run by Willie Degel. 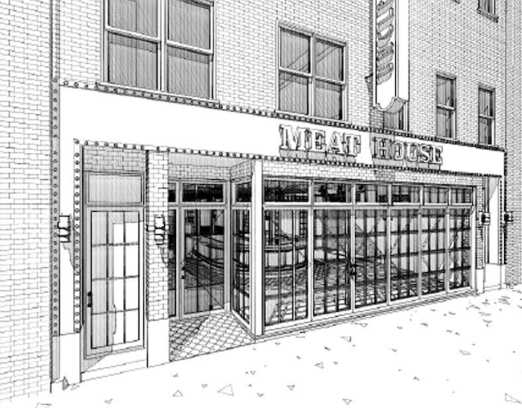 The Meat House will have a more casual vibe, and according to a recent article in the NY Post, and it will open this August. He’s also considering taking the company public, with an IPO projected for 2017, and a future of franchising his restaurant concepts. The NY Post reveals some of the menu offerings: “Shareable plates and more affordable dishes like a falafel burger for $15 or a chicken panini for $15. The most expensive item on the menu is a 24-ounce ribeye for $55.” Grub Street also reported food details like roasted kale and a “visual meat experience,” AKA a butcher’s case, which should be filled with humanely-raised meats, according to their logo. The full menu will eventually be located here. There will also be a big bar, hopes for an outdoor cafe in the front (lucky for them, CB1 is friendlier to this sort of thing than CB2), and they expect to seat about 150, serving lunch, dinner, cocktails, and brunch. 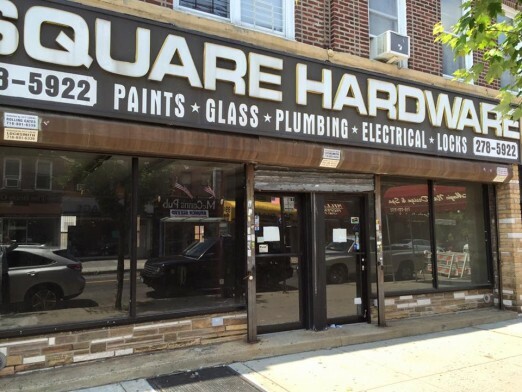 If you’ve been in the Ditmars area for even a few years, no doubt you remember what occupied the space before, Square Hardware. One in a family of slowly-dwindling independently owned local hardware stores, it closed in early 2015. 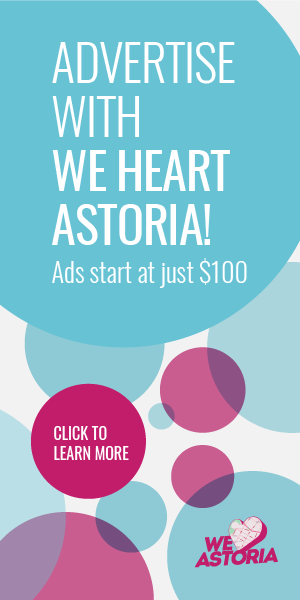 I remember going there in my early Astoria days, getting keys cut, buying various and sundry hardware items, and seeing the ads there for products to kill bedbugs. The Uncle Jack’s folks have planned a lot of construction for the location, including work from floor to ceiling, new doors, and generally a gut-renovation style project. 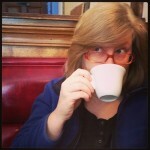 If they do the kind of work their neighbor The Pomeroy did, the place will be unrecognizable, and hopefully will look awesome. 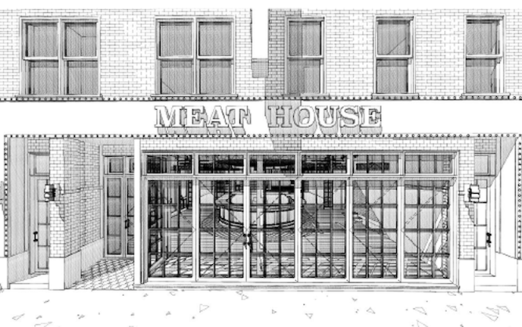 Good luck, Meat House, and we’ll see you in August. Are they ever going to open? Get these morons out of my neighborhood before it totally goes down the tubes. Zzzzzzz. Become a Brooklyn establishment so I don’t have to look at this on my way to work. 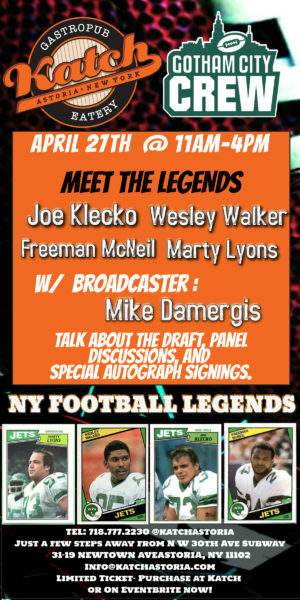 Can’t believe such pretentiousness could fly on Ditmars; it certainly couldn’t have this time last year.